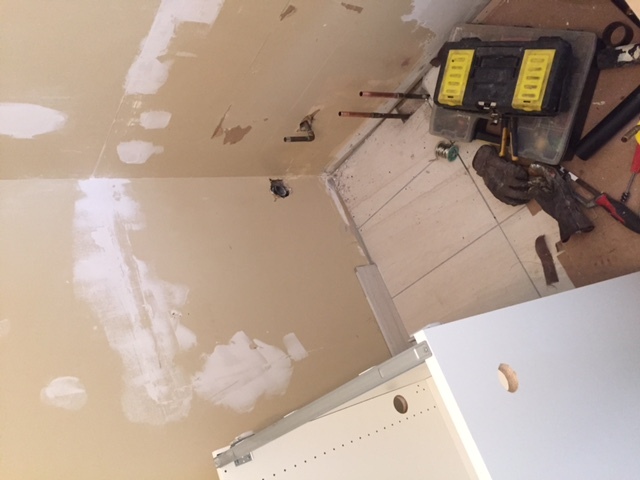 1) Home owner contacted us that he has been renovating the basement and the main drain is exiting the house above the basement concrete level. 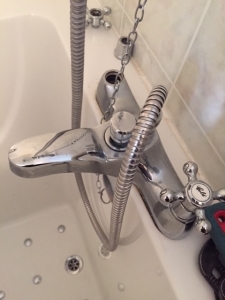 I went there and gave them the estimate and they liked the price and greed to it. 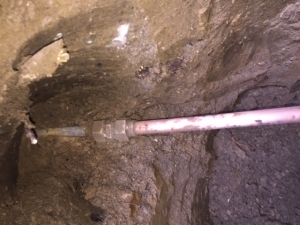 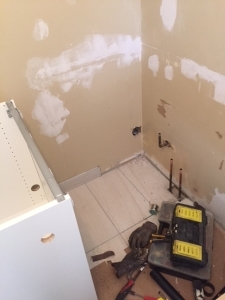 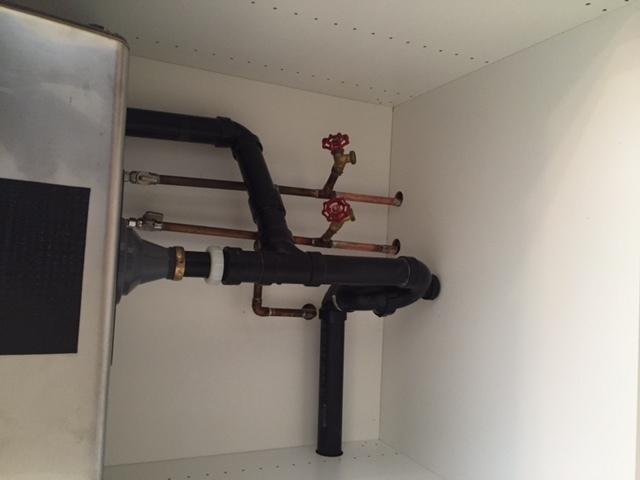 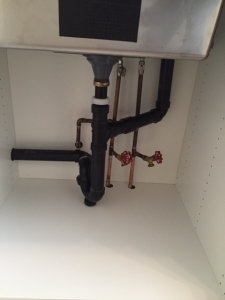 We excavate the basement and connect the basement washroom drain to the sewage pump and the pit we installed, and connected it with a check valve and shutoff valve combination, to the main drain of the house. 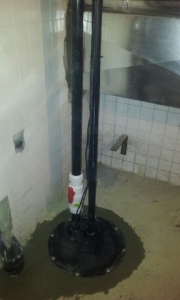 Now their basement drain is functional and the pump will grind and pump out the sewage from their basement. 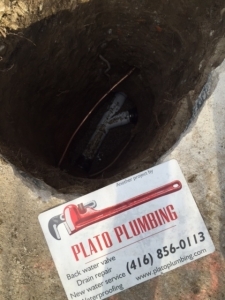 2) Home owner contacted us because they have sewage backup and I went and did the camera inspection, they had tree roots grown to their old clay drain pipes, we excavate outside and figure out they have also lead water pipe for their drinking water from the city so Plato plumbing replaced the water line with 3/4 inch copper piping and replace the main drain line outside of the property. 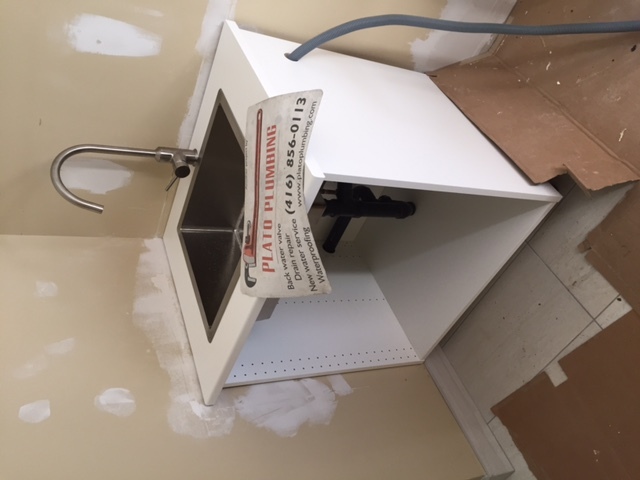 3) My old client called about his new project to install a laundry sink on the spot which is going to be their new laundry room, so I went and after cutting the ole piping and installing the cabinet and sink and faucet, I solder the piping and making a new drain for the sink and laundry machine with laundry machine water supply lines. 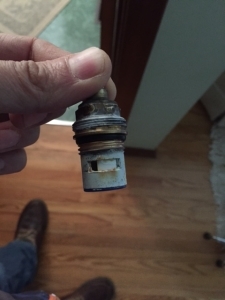 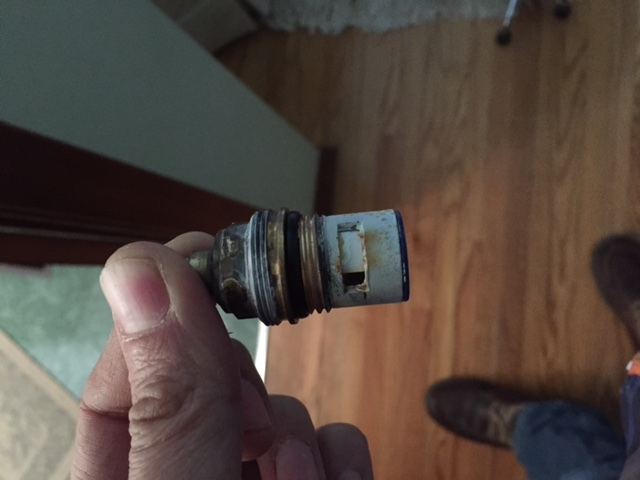 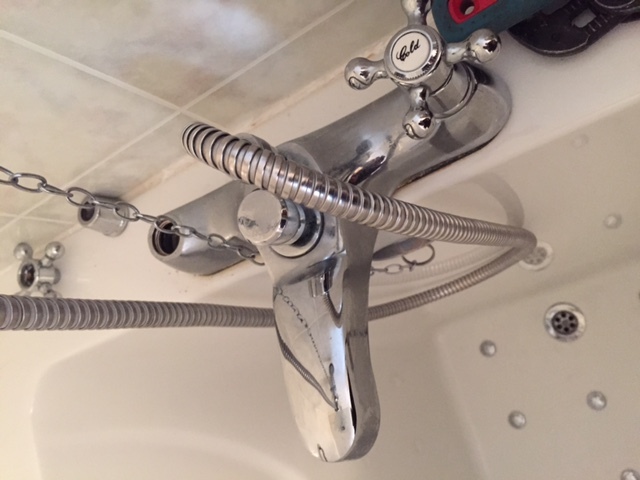 4) This week my client called and had a leaky shower faucet, it was the problem with the hot water valve cartridge so I ordered it and replaced it, it was because of aging and over tightening by the home owner which had the idea of by over tightening the leak will stop but it cause the cartridge to crack. 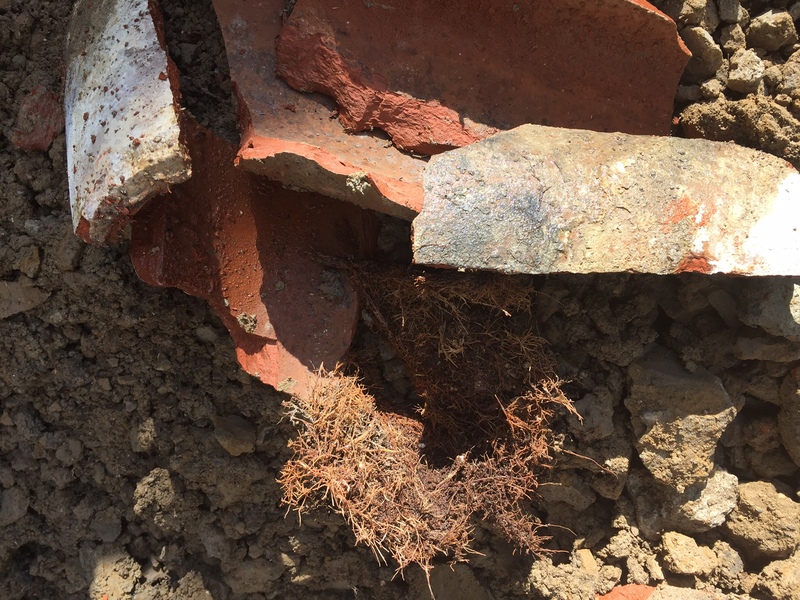 5) Client called and asked about the lead pipe replacement, we excavate and replaced the lead pipe with larger diameter copper piping. 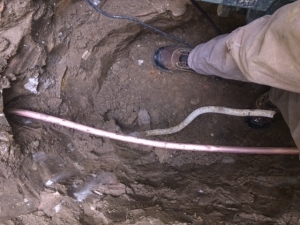 And gave the home owner directions of what to do so city will change their portion. 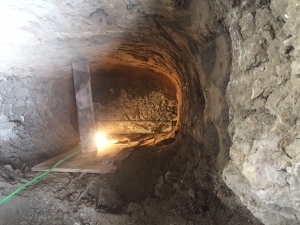 6) This is a project that client called and Mike went to do camera inspection, customer had tree roots penetration in to 6 inch clay drain line. 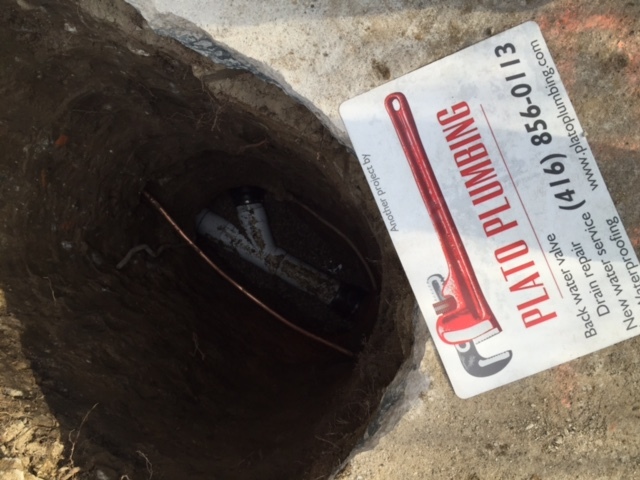 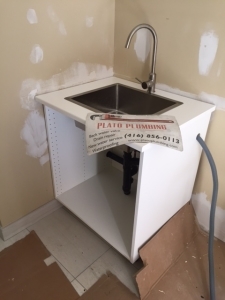 Plato plumbing excavate and changed the main drain line at the affected area.